As of the date of this article, Google produced 18,200,000 results for the search car blog. 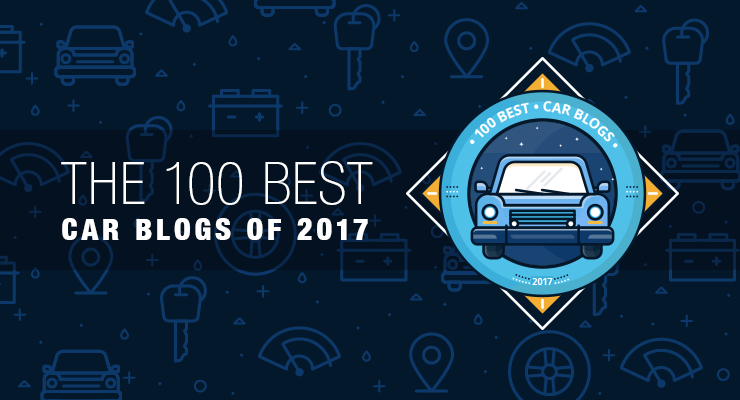 If you are passionate about everything cars but are reluctant to spend your precious time endlessly searching through the millions of car blogs that the internet has to offer, then Washos has just the thing for you: The Top 100 Car Blogs of 2017. 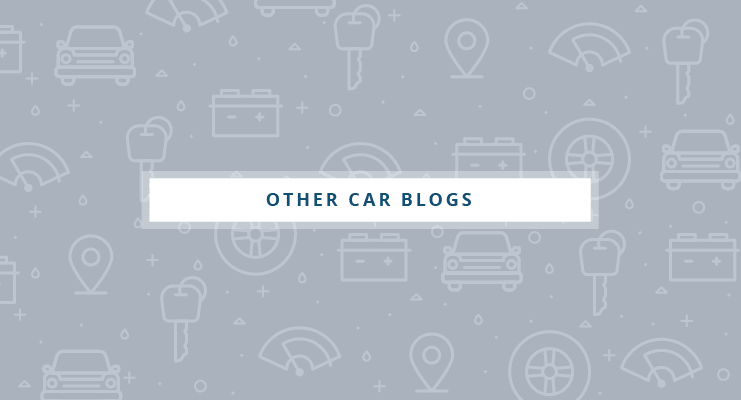 We’ve done the research, searching far and wide for the blogs that have the most reliable and relevant information available, and these blogs are sure to cure your hankering for the latest and best info that the car world has to offer. This category of blogs and online magazines are brand specific. Here you’ll find the latest news and information for those faithful to a specific make or model. These blogs provide reliable, trusted information on preventative maintenance and services that every car owner needs. Many of these top blogs also offer car care guides to help keep your vehicle in top condition. While most auto blogs include reviews and news about the car industry, these herald blogs and online magazines have a specialized focus in this particular area. Considering buying or selling a car? This is the category for you. Within these blogs, you’ll find expert advice and tips, and relevant consumer research that will empower your next deal. Are you an admirer of classic cars or green auto alternatives? These blogs are just the thing to keep you connected to the culture of faithful enthusiasts who feel the same way. From the famous to the exotic; it’s all here. 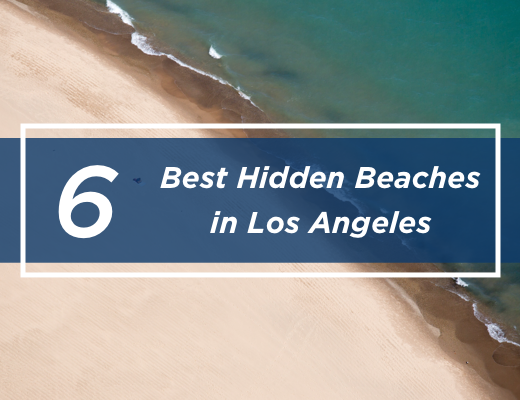 Fun and informative, these blogs are some of our favorite things. We’ve included celebrity blogs, safety info, tips and tricks, exotic blogs, and the fun and furious. You will find all of the extra bits for a perfect auto scramble here. 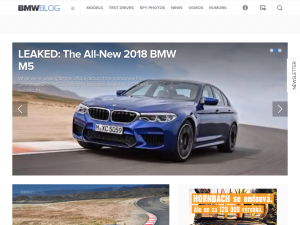 Since 2006, BMW BLOG has built a reputation as a popular online magazine featuring articles, videos, and the latest news on everything BMW. Although the blog is not owned or operated by BMW, information from its online content is routinely accepted as the standard for the brand by the mainstream media and major car publications. VW Vortex has been described as a definitive source for news and information on the Volkswagen brand. This blog is steadily building a community of avid VW fans and readers with its more than one million unique visitors to the blog each month. 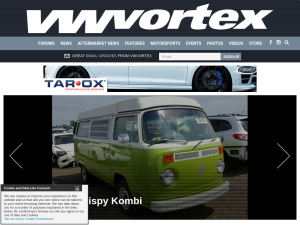 With the look of an online magazine, this blog offers Volkswagen enthusiasts a wide array of information including articles, photos and videos, a forum, up to date information on motorsport events and market news, a gallery of events, and even an online store offering VW Vortex merchandise. This five-in-one blog features reviews, news, and tech posts on Chevrolet cars and parts. 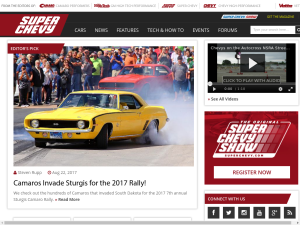 In conjunction with the off-shoot blogs Camaro Performer, GM High Tech Performance, Chevy High performance and Vette, the Super Chevy blog offers access to the best of the best in posts on how to DIY car projects, car tech, new products, and Chevy events. You can easily move from one of the connected blogs to another, seamlessly feeding your need for all things Chevrolet. 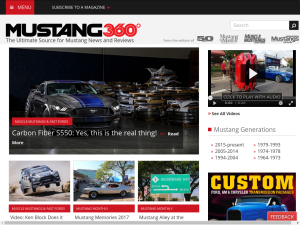 Mustang 360 is more than a blog. 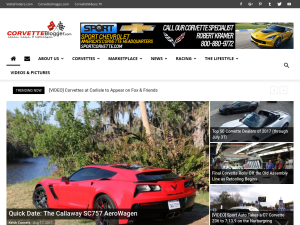 It’s a self-proclaimed website hub featuring articles, news, and reviews from the online and print magazines 5.0 Mustang and Super Fords Magazine, Mustang Monthly Magazine, Modified Mustangs & Fords Magazine, and Muscle Mustangs & Fast Fords Magazine. This all-encompassing site brings together the latest news, tech alerts, trends, and articles, making it the all-in-one best source for Ford lovers. 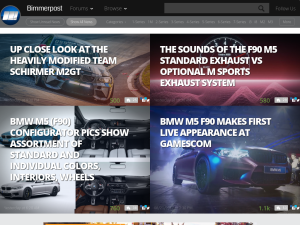 Bimmerpost is a popular BMW news blog dedicated to bringing you the latest news and updates on the full line of BMW cars. The blog forums are model and series specific which is a nice touch and makes it rewarding and easily accessible for BMW devotees. Check out all of the latest news and information on specific BMW models on Bimmerpost. CorvetteBlogger offers current information and detailed news on all generations of the Chevrolet Corvette including insider spy-shots, videos, all the news and latest details on Corvette Racing, and more. Updated pricing information, auctions, and current listings can be found on the blog’s marketplace. Pop culture, custom Corvette cars and car parts, and more can be found under the lifestyle section of the blog. If you are a Corvette fan, this blog is for you. Another blog for the BMW enthusiasts, this site is brand-focused for those who just can’t get enough of BMWs. 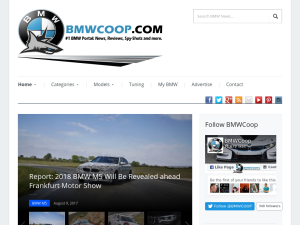 An exclusive online destination for the BMW faithful, BMWCoop brings you the latest and greatest in everything from up-to-date news and information about the brand to how to tune your ride. Filled with entertaining, original content, Flatsixes is explicitly designed for those who are addicted to the Porsche brand. The husband and wife team creators aimed for this blog to be the foremost destination for Porsche owners and enthusiasts interested in the products, parts, and cars of the Porsche brand. 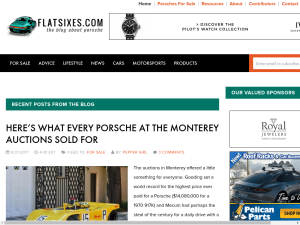 With articles on everything from maintenance tips, product reviews, motorsport events, and other Porsche news, this blog has a lot to offer and we can truly say that they’ve accomplished their goal. MercedesBlog.com describes itself as a global website for the Mercedes-Benz community, this blog offers a current, relevant look at Mercedes-Benz products and the lifestyle. The blog was created as a mecca for this illustrious brand and its community of Mercedes-Benz fans from all over the world. Here you’ll find the latest news, photos, videos, and insider information on the brand including a section on commercial vehicles, trucks, a dedicated classic car section and more. 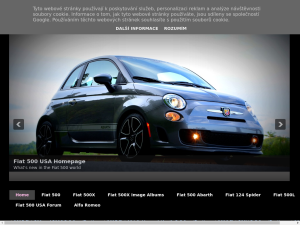 Fiat 500 USA is a blog for the loyal Fiat consumer. Enjoy a myriad of articles and videos dedicated to the Fiat 500. The blog features current events, news and information, articles, brand sales figures and awards information in addition to image albums and links to model specific specifications. Come and dive in to the brand and, while you’re there, join in the discussion on the forums where you can interact with other Fiat enthusiasts. Attention Audi fans! Nick Roshon, creator of Nick’s Car Blog, brings you his take on Audi vehicles, products, and services. Here, on Nick’s Car Blog, you’ll find the reviews, in-depth analysis, and maintenance tips you’re looking for. Nick also provides a glimpse into “featured rides,” Car shows and meets, and informative sections on wheels and tires, detailing your Audi, and do-it-yourself auto projects. The blog also presents a buying guide for used B7 Audis A4, S4, or RS4. Visit Nick’s Car Blog, you won’t be sorry. 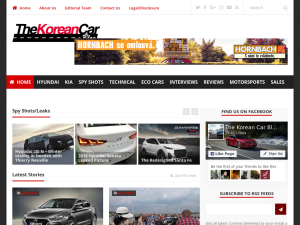 The Korean Car Blog is devoted to presenting an insider’s view of Hyundai and Kia. Here you’ll find reviews, interviews, news, spy-shots, and an in-depth look at these carmakers. In addition to news and relevant posts, the blog focuses on new car models in the U.S. and Europe, motorsport events, eco cars, and displays its twitter stream on the blog. 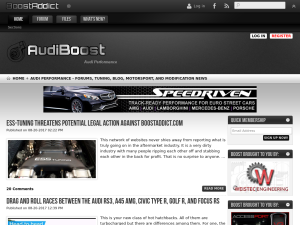 AudiBoost is a blog about performance. Audi performance. Posts are designed to educate and inform Audi enthusiasts on subjects dealing with tuning, modifying, and priming their prized cars. You’ll find all of the information you need on motorsports and scheduled events here, as well as an active, and informative forum. Keeper of all things German automotive, The German Car Blog has been gathering all the news, reviews, and facts about German brands including Bentley, Bugatti, BMW, Audi, Lamborghini, Mercedes-Benz, Volkswagen, and Porsche since 2005. No matter smart, mini, classic, new, or crossover, this blog covers it all. If German cars are the thing that revs your motor, check out this blog. The Kia World Blog is presented by Kia enthusiast who want to share their passion for the car maker’s models and brand. The blog provides an in-depth look at the brand including sales reports, news on upcoming Kia models, awards, and comprehensive reviews. Blog categories are, for the most part, named after Kia models and are divided into cars, SUV’s and vans. Fans can also find rumors, scoops, and photos in addition to news about Kia’s current research and development strategies. 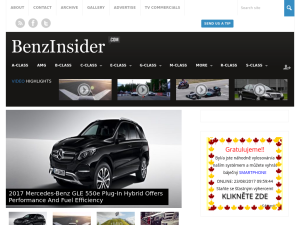 Benz Insider is the official fan blog for Mercedes-Benz. Here, fans can resource he latest news and information, reviews, and even rumors about the brand. Blog categories are divided by class and include interesting information on Mercedes-Benz products, technologies, features, performance, and incentives. Fans and visitors alike can also watch videos of racing and show highlights. 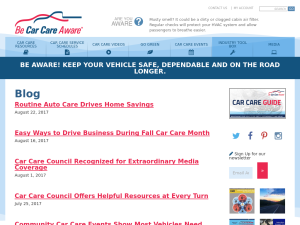 The Be Car Care Aware blog is related to a consumer education program designed to inform consumers about regular vehicle maintenance and repair, and car care. The information and news provided on this blog is presented by a cross-section of the car and the aftermarket industries. Unbiased, expert information is offered to assist car owners with making decisions regarding car maintenance, repair options, and needed tools in an attempt to reverse the trend of poor and irregular vehicle maintenance. Check out this blog for great tips and useful information. Advanced Auto Parts is described as an advice and how-to blog on any and everything cars. Tips, tricks, and informative posts on everything from classic cars, off-roading, racing, and road trips can be found here including a brief history of cars. How-to projects include topics such as modifications, vehicle maintenance, and cleaning and detailing. This site is more than a blog. 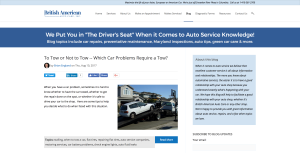 Visitors can read up on more than 25000 topics in featured articles and questions area, and in the “Ask a Mechanic” section of the blog. Also presented are tips for beginners, a car catalog, parts catalog, and technical guides. YourMechanic also offers mobile mechanic services in more than 700 cities nationwide. 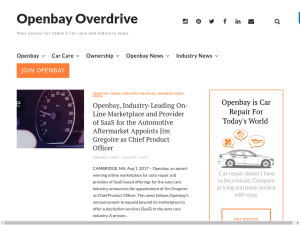 Headquartered in Cambridge, MA, the Openbay blog has tips and advice on scheduled maintenance, repairs, and diagnostic code information including a detailed list of common trouble codes and their meanings. Openbay also offers repair quotes in your area and combines this service with an online platform designed to easily and efficiently schedule and pay for services. This blog is a one-stop, has it all, lowdown on anything automotive. Well-written posts cover a host of useful topics for any car or truck owner. Henry’s Hints offers tips and information, and the sections on vehicle maintenance, updates, and recalls are invaluable. The blog links to Oil Can Henry’s Auto Center site where locations and contact information is provided. This blog was formed out of a movement to inspire and inform women on arming themselves with knowledge about the automotive industry, buying a car, products and services, and repair resources. GAC’s goal is to educate and inform so that decisions on are based on facts and reliable information. 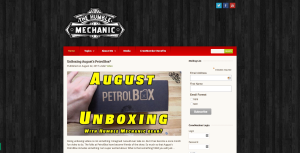 Sections such as “Getting to Know Your Car – What’s what” and “Tips, Maintenance & DIY” has elevated the blog’s popularity. The GAC blog also provides updates and information on auto workshops and Girl’s Auto Clinics. 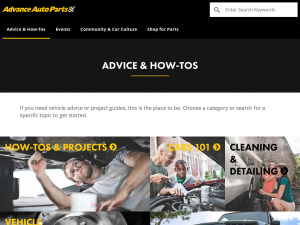 The YouFixCars blog is here for you, the consumer, with consistently new and updated posts on DIY auto repair, troubleshooting and diagnostic tests, as well as the latest factory-issued technical service bulletins. The blog also offers downloads for thousands of auto manuals, free auto repair books, and repair videos. Stop by and take a look at what YouFixCars can offer you. You’ll get a kick out of this blog. The Humble Mechanic is a down-home, plain-talking Volkswagen mechanic. He knows his stuff and wants to share it with you. Although an expert on Volkswagens, users can take much of the information the Humble Mechanic shares for use with most vehicle types. Take time to view his articles and podcasts, where he answers customer questions. You won’t be sorry, and you may end up a Crew Member. The British American Auto Care blog is dedicated to educating and informing consumers on every-day care tips and preventative maintenance, but also seeks to better your relationship with your mechanic through understanding and arming you with the basics in car repair and maintenance. Additionally, the blog offers information on vehicle inspections, common auto tips, and green car care. The Car Bibles Blog offers a steady stream of information and commentary on a wide array of topics. Blog creator, Chris, has found his voice and has a lot to say on car care, product and car reviews, racing, parts, and much more. His easygoing, entertaining style makes the reader feel as if you’re listening to a friend. Check out the blog archives for any number of posts that may pique your interest. Certified Master Technician Mark Gittelman just can’t say enough about cars. The guru behind another fan favorite blog, YouFixCars, Gittelman has expanded the sharing of his immense knowledge base through MasterTechMark. Here you’ll find varied and interesting posts on auto motive news, Auto repair manuals for a wide range of makes and models, motorcycle repair manuals, and so much more. Steward Auto Repair has created this video blog to bridge the gap between your car’s trouble issues and what maintenance repairs or fixes may be needed to realize maximum performance. Videos are presented that explain repair processes such as air conditioning repair and tune-ups to preventive maintenance. You’ll also find customer testimonials, information on vehicle inspections, and a full list of services performed at their Jacksonville, FL repair shop or other Napa Auto Care Centers. Now find articles, car care tips, and useful facts on Cannon Auto Service’s Car Care Tips Blog. Posts on air conditioning, tires, transmission issues, brake safety, routine vehicle maintenance and much more are full of great information and tips from respected auto mechanics. The blog also presents helpful tips on seasonal recommendations for your vehicle, potential issues and warning signs, and how to make sure that you give your car the TLC that it deserves. First things first: This is a service contract maintenance blog. The Protect My Car blog was created to educate and entertain consumers with fun, interesting, and informative posts that provide solid, useful recommendations for the use and maintenance of your car. Post categories include the PMC News Room, tips for road trips, auto insurance, extended warranties, recall notifications, and proper vehicle maintenance. 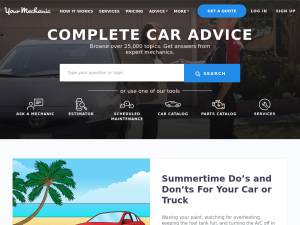 The Ask Patty blog was originally created to offer automotive advice to women on subjects such as buying or selling, tires, preventative maintenance, car repair, basic car care and safety issues. The advice is expert and solid. Here, you can also research trusted auto dealers, tires and parts, service and repair centers, and more. AutoBlog brings you the latest news and auto reviews researched by industry experts so that you can find the best, and most reliable information for those about to make that all-important purchase. Visitors to the blog will find articles, pictures, features to compare cars, calculate car loan payments, read about test drives and performance, and get updates on breaking new related to the automotive industry. The Car Connection blog covers the auto industry on a daily basis, providing the latest news, research, and updates on everything automotive. You’ll find exclusive information on concept cars, auto shows, and spy shots of the newest and most exciting cars and features about to hit the market. Visit the Car Connection for an insider’s view into car comparisons, reviews, and more. Motor Trend is an icon. It is an American Automobile Magazine. From its roots in car industry news and reviews beginning in 1949, Motor Trend has been a constant in the car world. Today, the online magazine delivers a steady stream of relevant, timely articles and videos on car reviews, industry news, and awards. The site also presents information on car lists, classic cars, car performance, “Celebrity Drives,” and opinion pieces. Take a look at the Motor Trend Buyer’s Guide, or use their research bar to find information on a car of your choice. It’s all here. Car Talk is a fun and entertaining blog. 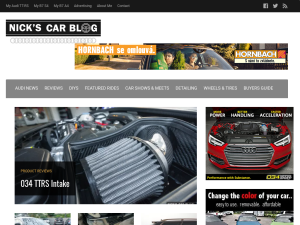 The blog is made up of a combination of featured articles, car reviews, and fan question and answer posts. The blog is linked to their larger site where you can find podcasts and information on buying, selling, owning, and driving your car. Spend some time perusing the archives, these posts will have you entertained for hours, and provide you with good information at the same time. The Car Gurus blog provides insider coverage of the automotive world on a daily basis including news and updates on new cars, industry news, automotive politics, accessories, parts, vintage autos, auto show low-downs, and a lot more. Get in on all of the news and information from the world of autos here. TopSpeed delivers an amazing amount of information. The blog is unique in that posts are grouped into searchable topic areas and include everything from posts on makes and models, auto shows from across the globe, road trips, rallies, rumors, safety, bicycles, recalls, and so much more. In the car zone, car posts are searchable by country of origin. Also unique, is an entire page of motor/auto games. This blog is a must visit. The Truth About Cars presents unbiased, candid automobile reviews in addition to the latest auto industry news and editorials. The blog also provides product reviews, tips, and advice on everything from how to buy a used car, negotiating, and aftermarket parts to selling your car on eBay. While there, take a look at the listings of junkyard finds. In 2007, egmCarTech initiated this blog dedicated to presenting its visitors with up-to-date auto industry news. The comprehensive blog covers everything from the political side of the automotive world to the hottest new cars on, and off, of the market. Visitors will also find detailed reviews, and live coverage of auto shows across the country. Many fans make egnCarTech a daily stop. Come on over and find out what keeps them coming back. 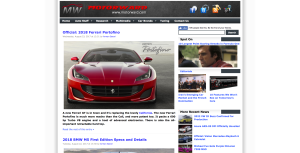 Motorward is an automotive news blog providing the latest in automotive news, videos, spy photos, reviews, photos, car guides, and the best in auto show coverage. The blog allows readers to research articles, DIY guides, biographies, interviews, automotive history, and more. Under the guise of “auto stuff” visitors will find posts on gossip, gadgets, green motoring, classic cars, exotics, and a host of other topics. As the blog states, your ride is their passion. Automoblog describes itself as a community of gearheads coming together to consume the latest on car reviews, photos, industry news, videos, and editorial opinions. This online magazine also covers future innovations such as autonomous driving, consumer trends, and informative posts on car insurance. The Automotorblog, Auto & Motorcycle News and Reviews, is the automotive resource you’ve been looking for. The blog has set its sights on being your online guide into the automotive and motorcycle industries. Want up-to-the-minute industry reveals about cars and motorcycles? You got it. You can also find reviews, posts about tuning your ride, the 411 on auto shows, and more. Be Car Chic is a well-rounded blog featuring information, industry news, new car reviews, and automobile industry politics in addition to tips and advice for loyal readers. Melanie Batenchuk founded Be Car Chic in 2009, with the intent to empower and educate women on the automobile industry and the latest news and information out there. Her series, “How I Drive,” is a refreshing look at profiles of women, who are secure and powerful in their own right, and how they like to drive. The Kelley Blue Book blog is the go-to place for anyone considering buying or selling a vehicle. Consumers and car dealers alike have always looked to the Kelley Blue Book to provide reliable and trusted information on price and value when buying or selling either a new or used vehicle. The blog features expert reviews, industry news, and ratings for nearly all vehicle types, old and new. The Car and Driver blog has been a trusted favorite to many for years. Noted as presenting the latest in automotive industry news and reviews, Car and Driver is a wonderful resource when planning your next purchase. There’s plenty for you to research on this blog including featured articles and columns, buying guides, car comparisons, test drives, road tests, and shopping advice. True Car Inc. is well known throughout the industry as a trusted consumer partner in car valuations. Have an idea of the next car you’d like to buy? Use the “Shop Cars” feature to get updated prices that others paid for the same vehicle, helping you to realize a good deal when you see it. The blog also offers how-to guides, trends, reviews, tips, and deals, alerting consumers to finds of the season. Their shoppers guide provides insights into leasing offers, financing, and more. The LeftLane blog has you covered in terms of the latest car news, the best and brightest upcoming cars, the automotive market, and great posts on some of your favorite brands and models. You can also get car pricing information and find outstanding reviews on cars and industry brands. Stop and get a glimpse into what the automotive industry has in mind for you this year. This blog has it all. Edmonds is like a trusted friend. Here you will find a wealth of information on vehicle types, thorough reviews, dealer inventories and incentives, side-by-side car comparisons with full specifications and features, buying guides, information on leasing, vehicle pricing, and much more. The ultimate goal of the Edmonds blog is to provide you, the consumer, with a simple, efficient, educated shopping experience when it’s time to look for your next vehicle. Adnan Ebrahim founded Car Throttle with the simple goal in mind of bringing together car enthusiasts from around the world. On this blog, find automotive news, car videos, reviews, car trivia, and reliable pricing information. Car Throttles community section is as popular as they come. With more than six million community members, readers can join in on discussions on a multitude of topics. Goal realized. It’s all about the mileage. MPGoMatic creator Daniel Gray created this blog to be a go-to site devoted to “fun-to-drive fuel efficient vehicles.” Dan writes engaging posts and commentaries, and new car reviews that include photos and videos of individual vehicle features. There are separate pages for gas mileage by car, best gas mileage SUV, and best gas mileage car. The star of the show, however, is the Gas Mileage Calculator. Using the calculator, you can compare your current vehicle’s gas mileage with that of another vehicle. The site is data rich, and thankfully so. There’s a lot of good information in this blog. Automotive Addicts was founded by Malcolm Hogan in 2004. 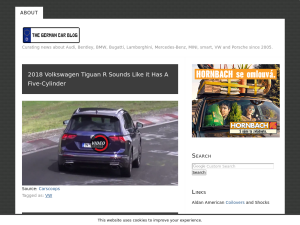 The blog is designed to provide readers with a unique, entertaining slant on the automotive news of the day without recycling articles from other servers. The blog also covers posts on reviews and test drives, trade-in values, discount pricing information, and classified ads. The blog comes with a warning: You may become addicted. This is a data rich blog that tracks auto sales, providing great information on the good, the bad, the best, and the worst in automotive sales in the Unites States. Users can also get sales stats, reviews, and download complete auto sales data by month for a small charge. This is a great resource for research, or for those considering the purchase of a new vehicle. Knowledge is power for the consumer, and this blog goes a long way to provide it. The Weekly Driver is a fun and innovative blog covering automotive news, reviews, and posts on celebrity cars. There is also a focus on convertibles and used cars, featuring recommendations and tips for potential buyers and collectors. Visitors can also read coverage of the latest news in the auto industry, and get information on vehicle recalls, concept cars, auto show news, details on new innovations, and more. Tred is a self-proclaimed “Test Drive Blog.” The bulk of the blog is dedicated to buying, selling, or trading a car. Search cars for sale, list your car, find out about making a trade, or what your car is worth. Blog posts consist of hacks, tips, and advice on car ownership and are good reads. Matt Gasnier presents the best selling cars from around the world on his blog Best Selling Cars. In addition to the searchable list of posts by country, Matt provides informative and entertaining posts on the makes and models you want to read about. There are also posts on categories ranging from brand strategy, auto shows, and historical data to photo reports on favorite cars. Hemmings Daily is a blog founded in 1998 by Ernest Hemming, and is the latest portal for the Hemmings brand of comprehensive information for true fans of classic cars. Based on Hemmings’ first endeavor Hemmings Motor News which began in 1954, This blog has become one the most informative and complete sites of its kind and it features over 20,000 searchable car listings, classified ads, more than 10,000 Car Club listings, and a visitor-generated online car show under the “My Hemmings” heading which is presented as a dealer showroom for classic car inventories from across the nation. Hemmings’ products and memorabilia can also be purchased in the online store through the blog. A part of the larger FossilCars website, this blog offers readers a wide range of informative and interesting posts on classic cars, makes and models, fan clubs, places to go for classic car lovers, information on car shows, historical car references, and industry news. You can also find their twitter stream on the blog as well as a fantastic photo gallery. Fossil cars are all about classic rides and they make no bones about it. The Chicane blog describes itself as “A celebration of classic motorsport,” and there’s no better way to describe it. The blog wants its viewers to revel in the history of motorsport as well as the dedication of classic car and motorcycle owners whom continue to bear witness to the excitement and fever of vintage racing. Posts are varied, interesting, and entertaining, and include topics on restoration, gear, automotive art, events, race drivers, and even old maps showing racing tracks from a bygone era. You’ll also find car reviews and cars for sale. Stop by and relish the past while gaining a fresh perspective on classic motorsports. The Cartype website is dedicated to the history of the automobile and the brands that have defined it. The site also features collections including vintage emblems, posts on design features both new and old, and brief histories of car companies. While Cartype obviously loves the old, it still has an appreciation for the new. On the blog, you will find posts on new and vintage autos, car shows, parts discussions, and motorsport. Green Car Reports is where buyers turn for help when deciphering the complexities of green cars. Blog posts are designed to rate car options and discuss the dos and don’ts of the green industry. Green Car Reports test drives and reviews every green car on the market, enabling them to provide accurate and timely tips and advice to consumers. Green-car enthusiasts trust Green Car Reports to keep them updated on the industry news and information needed to make thoughtful, informed buying decisions. This weekly news magazine is a great source for news, facts, and information on upcoming events and attractions for old cars and the people who love them. Here, classic car owners and enthusiasts congregate to get the information they want on collecting and caring for vintage vehicles. Featured columns including Tire Tracks, Under the Hood, Gunner’s Garage, Salvage Yard Ron, and A Note from the Lil’ Nordstroms Gal delight and entertain visitors. There’s a revolution going on and its name is green. The Gas2 Blog is a member of a network of media sites working toward the goal of making “the world a better, greener place,” This blog is a great resource for news and information on the green culture and new innovations coming into the marketplace. Posts are well done and offer tips and advice for going green. There is even a section on “Car hacks,” modifications, and do-it-yourself tips for greener driving. This blog has everything you ever wanted to know about celebrities and their cars. Posts and pictures offer users a glimpse into the lifestyles and driving preferences of noted celebrities. For instance, Ryan Gosling is a “biker boy” and owns a Honda Shadow. Who knew? Visitors just click on the long list of celebrity names and a brief bio appears with pictures and their favorite ride. The Safe Driver is an info blog aimed at educating drivers for a safe experience on the road. Scott Marshall posts great videos that encourage proper driving and handling of your car on topics describing how to set your mirrors, winter driving techniques, easy parallel parking, and so much more. The “Safe Driving Elf” page has great one-liners that will make you smile, and there is a driving quiz, polls, and a helpful Q&A. Who said safety can’t be entertaining? Not Scott. Image rich, this blog is a one-stop paradise for car enthusiasts. Here you can find information on vehicle research, motorsport events and outcomes, recalls, classic cars, auto shows, green cars, racing news, and watch NASCAR videos. You can even find a driving school on this blog. Autoweek is so much more than your run-of-the-mill car blog, it’s about cars, the lifestyle, and obsession. Check out the latest spy photos, the online store, or Autoweek’s Buyer’s Guide while you’re there. Between the White Lines is a photo concept blog, rich with images designed to lure visitors to thoughts of the open road. The automotive and lifestyle photography presented is by photographer Jonathan Szczupak. Between the White Lines features photos of classic cars, racing events, car and landscape photography, and motorcycles. Brief message posts can be found in the archives. This info blog seeks to educate the consumer on public safety and new, or developing, ideas in transportation and mobility technology as related to the automotive industry. For instance, self-driving, autonomous, cars are a hot topic and widely covered in the blog. Feature posts such as “What would you do in your driverless car?” offer insight with humor and spur the discussion. To be fair, there are car blogs for women, so of course, there are car blogs geared toward men. Since one of the most browsed article posts is titled “Best cars to attract women,” I’d say testosterone rules the day here. This blog reveals such entertaining topics as “The top 10 supercars of the 1980s” and so much more. The Zero to 60 Times Car Blog features car comparisons, lists, and reviews but is also a great blog for research. It’s all about fast cars, so buckle up and enjoy it. In a word, unique. Stance Is Everything is a generalist, yet reflective auto blog with a twist. Posts are fun and easy read, and are written with a humorous bent. Themed post sections such as WTF Friday, Theme Tuesdays, and Project Why Wait set the tone for the blog and define its easygoing attitude. Don’t let them fool you, these guys are experts in their field and will not steer you in the wrong direction. Perfect blog for the car hobbyist. An automotive news blog, Motorology has the up-to-the-minute info on cars and motorcycles. There are also great posts on how to buy a used car, pricing, services, and financing in addition to highly useful tips on caring for seat covers, family road trips, safety, and so much more. Blog posts are divided into categories of passenger, SUV, luxury, and sports cars to make visitor searches easy and efficient. “Welcome to The Garage,” as the blog likes to say. And just like the real thing, there’s hidden gems everywhere in this blog. A trip to the garage will offer you a daily dose of industry news, pictures, reviews, motorsport coverage from the world of rally competitions and professional car racing, and even stories. Come hang out. The AutoTribute blog is true to its name. The blog is designed to pay tribute to the auto industry while presenting fun, interesting, and amazing facts about the cars that most of us can only dream of owning. Diesel, plug-in and hybrid, hydrogen, and electric green cars are a big topic of discussion on AutoTribute’s Green section. The blog offers trending stories and feature articles, videos, and great list posts. Tom Sedens, creator and writer of Wildsau, is an accredited member of the Automobile Journalists Association of Canada (AJAC). The blog is well written and focused on vehicle reviews, new cars and their latest features, test drives, and take-away commentary on auto shows. The blog is filled with Tom’s original photography, and also includes a Life page dedicated to all things really important which reveals the musings of a loving husband and father. The Chris on Cars blog has some of the most stunning car photography you’ll ever see. That is the first thing that comes to mind. If you can stop looking at the images long enough to read the posts, you will be equally satisfied with them. Here you can read up on test drives, product and car reviews, and editorials. Visitors to the site can also find featured articles and guest posts in addition to entertaining and fun articles and videos such as “20 Greatest Movie Car Chases” (more photos!). There’s a reason that this blog ranks in the top percentage of several websites and online magazines. Carfanatics unite! This blog has just what the true car fanatic needs, lots and lots of good information. This blog has all of the reviews, news, and information that you could want including the latest auto show news, info on new releases, articles and videos of the newest and best cars on the market. And if you need somewhere to talk cars with other fanatics, the forum is just the place. 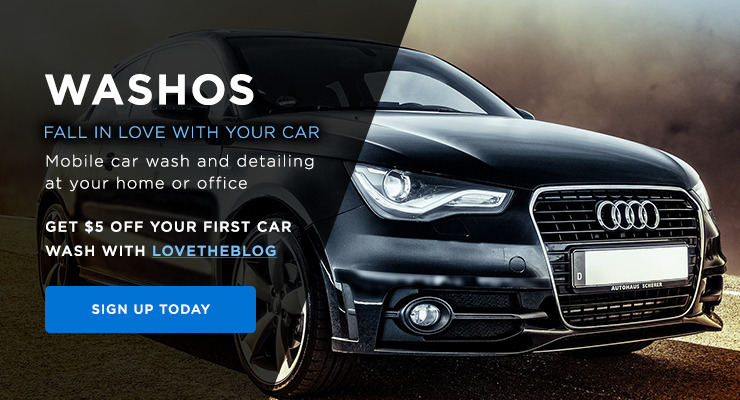 The LeithCars Blog is an off-shoot of the website LeithCars.com where the family has been in the business of selling cars for more than 50 years. The blog offers posts and videos of new vehicle reviews, test drives, the latest features to hit the market, and much more. Categories include events, lifestyle, news, servicing, and tutorials. The Ultimate Car Blog wants you to forget about the other auto blogs and come see the all-original automotive news and information on the hottest cars, reviews, photos, road tests, and more. Users number in the millions for this blog, many getting their daily dose of automotive nuggets from the Ultimate Car Blog. Users also find great, informative posts on auto shows and other events, tuning reports, technical specifications, and the latest news on the auto industry. Autoinfluence is a superior car blog for enthusiast of exotic and luxury cars. Packed with dazzling photography, posts are intelligent and informative, and divulge the latest news on the best of the best, and most wanted, cars of the day. 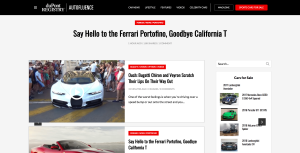 The blog features articles, news, videos, lifestyle posts, and a page on celebrity cars. This blog is presented by an international group of writers, drivers, and photographers, all with the same passion for the car culture. The goal of these contributors is to provide the “World’s most exciting car culture stories.” The articles, imagery, posts on car features, and event coverage are presented with a fresh perspective and a unique view as they experience the culture in a meaningful way. Stop by and spend some time, you won’t be sorry. The Exotic Car List Blog is the place to search for new and used exotic cars. Here you can research prices, read reviews and comparisons, and find the information you need to help you make a decision on buying the exotic car of your dreams. The blog can also help visitors find trusted exotic car dealers in their area. 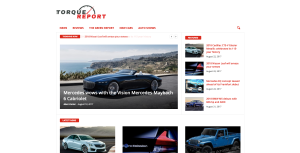 Automobile is an online magazine providing the in-depth look at “The automobile universe in all its forms.” Among its pages you’ll find rich content on buying a new car, car lists, opinion posts, reviews, current auto news, and recent stories from the world of cars. Brilliant photography enriches the user experience on the site. At Carscoops, you can get the latest news, reviews, and visual comparisons of current and future cars. The blog also posts informational pieces on auto shows, the tuning industry, rising technology, classic cars, and much more. Stop by and enjoy the off-beat stories and commentaries presented by the blog’s contributors and see what the blog has to offer. While Motor 1 is a respected blog with stellar sections on supercars, concept cars and formula 1, don’t think that leaves out consumers looking for information for average car buyer. 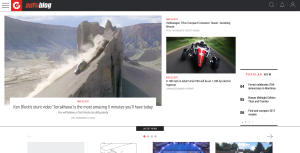 Motor 1 offers featured articles that cover a wide range of topics such as updated posts on “Lease Deals of the Month,” to “10 Crazy Highway Spills That Are Weird, Gross, And Hilarious.” Visitors can also find breaking news, press releases about formula 1, spy photos, videos, auto show info, and more. The Auto Parts Warehouse Blog is so much more than you would imagine given the title. 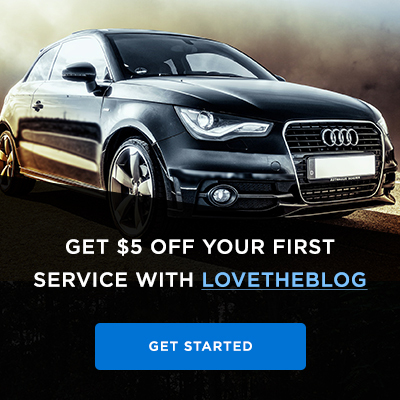 The blog itself is dedicated to its visitor and blog members’ interest in everything cars, and wants to provide a wide range of quality information with featured articles and a dashboard where members can find current deals, rebates, special promos, sweepstakes, and more. Users will also find expert product reviews, insights, and news from across the web. This is one of IHS’ industry blogs, covering global insights and observations from automotive industry experts on topics including sales and marketing, strategy, production, and technology. Featured posts range from new vehicle reveals to the impact of government and politics on the auto industry. If your interest follows the industry itself, sales projections, or the automotive market as a whole, this blog is for you. The British Sports Cars Blog showcases any and everything to do with … British Sports Cars. This info blog is produced by knowledgeable experts who have specialized in the restoration, sales, and service of British sports cars for more than 30 years. The blog provides featured articles on past and current technologies, car shows and related events, and barn finds. 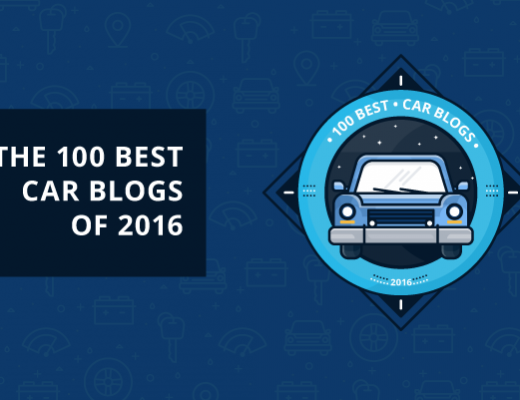 The Car Expert is a UK based blog voted “Best Automotive Blog of 2017” by the UK Blog Awards. While the focus of the blog’s attempts to offer solid information for buying new and used vehicles may not merge exactly with the U.S. market, the insights and advice are universal, and the blog serves to present automotive news and informative posts on the auto industry from all over the world. 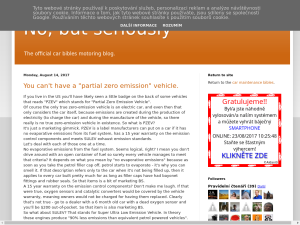 ItMyCar is a generalist info blog with practical and informative posts on topics that most car owners will find useful. Know, as you read these posts, that they are the result of years of experience and come from a trusted source. Features include advice, tips, and tricks, in addition to posts on parts, safety measures, maintenance, and even a section on fun facts. The SuperCar Blog is an informative blog, oriented toward the “engineering marvels” that are legends of the automotive industry. However, posts are not limited to Super cars as they also include current news, information, and videos on high-end luxury cars and exotics. There is plenty of other information here including celebrity cars, super cars for sale, and car comparisons, and photo shoots. ATC is a private, post-secondary automotive training school. Campuses are located in Warminster and Exton, PA. Through highly specialized programs, attendees develop valuable skills and a working knowledge of all areas of automotive and other technical mechanical fields including diesel, hi-performance, collision, and the marine industries. The blog offers information on programs and courses, and a wealth of student resources. Subcompact Culture is the small car blog. This includes subcompacts, compacts, micro cars, and more. Heck, even some vehicles that are a bit bigger. From news and reviews to cars shows and project vehicles, this blog covers it all. Featured content also supplies information on trucks, crossover vehicles, and SUVs, vehicle reviews, travel, trends, and lifestyle. This blog is presented by the National Motorists Association, a grassroots alliance of motorists that work to protect the rights of motorists. The National Motorists Association is active in all 50 states and several Canadian provinces. NMA lobbies for traffic regulations, enforcement actions, and safety considerations. On the blog, visitors can look up state specific information, find resources, and read-up on trending news in the auto industry. Motor Authority is a specialty blog dedicated to luxury vehicles. On this blog, enthusiasts and market insiders can find spy shots, industry news and information, and expert reviews on the brands and models that the buyers of luxury vehicles want. Featured articles include topics such as technology, first drives, auto shows, and vehicle diagrams and photos. Stop by and get a glimpse into the world of the hottest luxury vehicles on the market today. RedDrive is an info blog providing auto drive tips. A rich combination of impressive, useful information, this blog offer tips on everything from car servicing and maintenance, road trips, and discussions about auto parts, to “A Guide to Buying a Quality Used Car.” The articles are not the run-of-the-mill, regurgitated lines from other info blogs, but unique, specific, and highly useful nuggets of information. Spend some time on redDrive; it’ll be time well spent. Rallyways is an automotive enthusiast blog. Their slogan is “A Million Ways to Drive,”™ meaning that they recognize that there are all sorts of enthusiasts for different kinds of vehicles, and they respect that. The car culture in particular is what those behind the blog care about. So, whether you’re interested in daily drivers, trucks, convertibles, sports cars, or hobby vehicles, it’s all here. Pay attention to the original photography on this blog as well. 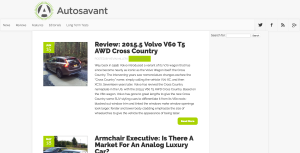 Autosavant is a different kind of blog in that there are multiple contributors working toward the same goal: To share their experiences and start discussions. Do yourself a favor and read about the contributors and what each of them have to offer. Posts are usually either information based or opinion pieces. Oh, and this blog wants your input as well, just check out the “Armchair Executive” feature under Editorials. Thanks for this post! I really like your blog. It is very nice and good. It is very useful and helpful for everyone. keep sharing more post like this. Awesome list! Few blogs only I used to read, let’s try others too from now. 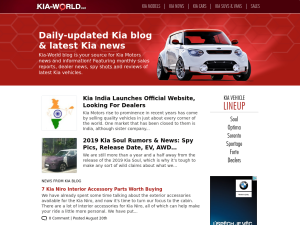 May I suggest a correction…the kia-world.net has re-branded to theKEEA.com. Kindly asking to change the url.